We didn’t become the top motorcycle insurance broker by just giving our riders “the basics.” You’re passionate about your bike, so we dig deeper to offer a wide range of coverages. Plus, we offer competitive rates with plenty of ways to save. Get a free quote, buy motorcycle insurance online, and get coverage today. If it’s legal to drive on the road, we can probably insure it. Washington state may not require liability insurance but you are still liable if you cause an accident. Get protected. PS. Oregon does require motorcycles to have insurance. And they love pulling over Washington motorcycles to check for insurance. The companies we represent can insure nearly every type of motorcycle. We’ve have insured just about everything on two or even three wheels and we’ld be happy to insure just about any type of bike or off-road vehicle you ride. A lightweight two-wheel vehicle that can be both pedaled and powered by a small engine. A two-wheel vehicle usually with smaller wheels and a low-power engine. A lightweight motorcycle with rugged tires and enhanced suspension that’s designed primarily for off-roading. Bikes 25 years or older. Also called vintage, classic, or collector motorcycles. Coverage available for up to $30,000 for customization coverage if you get comprehensive and collision coverage. These motorcycles are built for speed and rapid acceleration/deceleration. They are also called street bikes. Cruisers are the most common type of motorcycle. Common makes/models include Harley Davidson, Honda Shadow, Kawasaki Vulcan, Suzuki Boulevard, etc. Touring motorcycles usually include large fairings and luggage compartments. Sport touring motorcycles are more aerodynamic. Three-wheel motorcycles with non-enclosed riding. Trikes usually have two wheels in the rear and one in the front but can be reversed (two wheels in the front and one in the rear). An ATV/UTV is designed for off-road riding and usually has four wheels but can have anywhere from 3-8. A three-wheeled motorcycle with steering wheels and seating that doesn’t require you to straddle the vehicle (usually bucket or bench seating) and is enclosed. Designed to be ridden on both unpaved surfaces and highways, usually equipped with lights and mirrors to make them street legal. We have bilingual agents who speak English and Spanish. 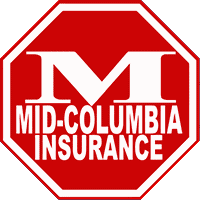 Quality coverage at cheap, cheaper, and even cheapest rates in Washington. Affordable coverage for your favorite bike. Looking for something “near me”? Check us out. As an insurance broker, we quote multiple insurance companies for you. Our primary motorcycle insurance companies are Safeco, Progressive, and Dairyland. After you call State Farm, Allstate, Farmers, or Geico, call us for true local service at a great price. As our reviews show, you are not just an “insured” with us. You are family.